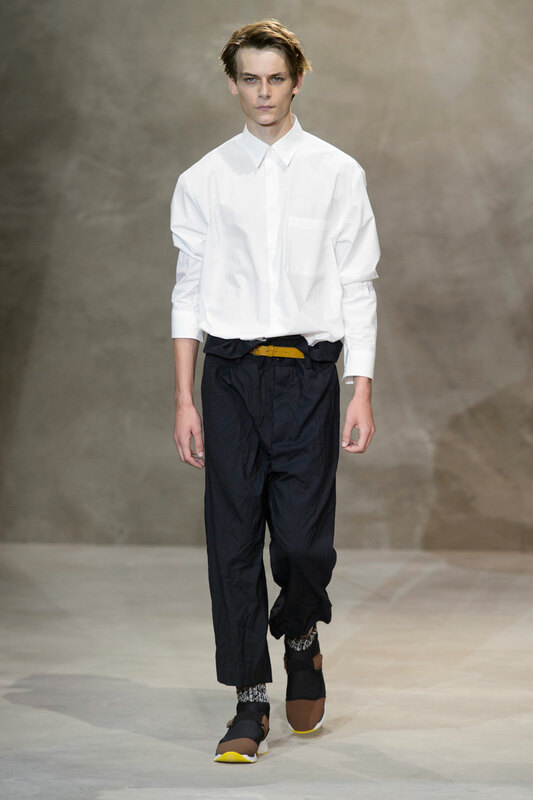 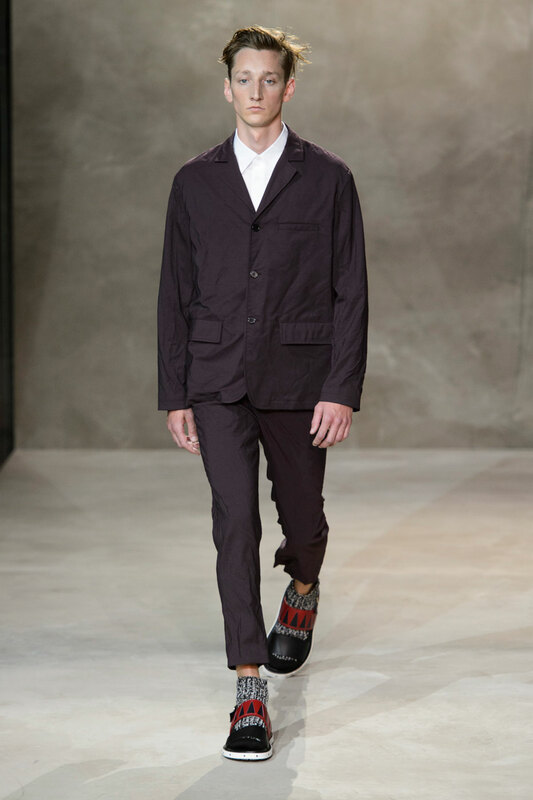 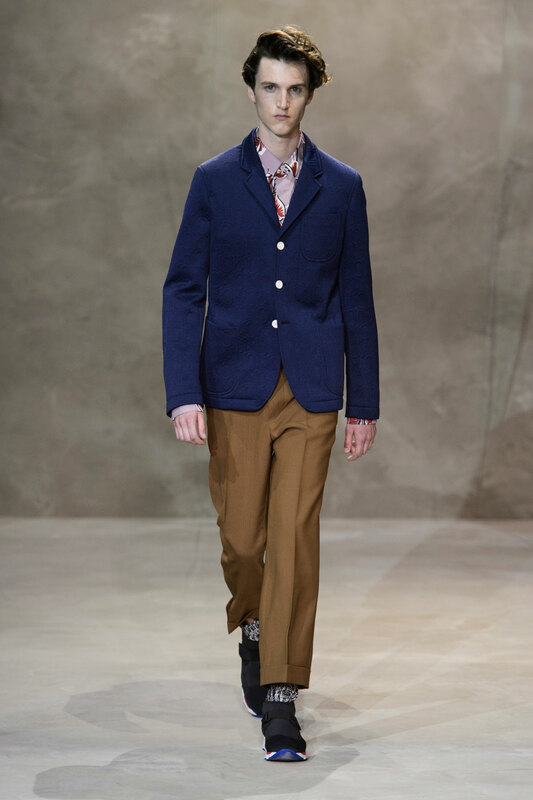 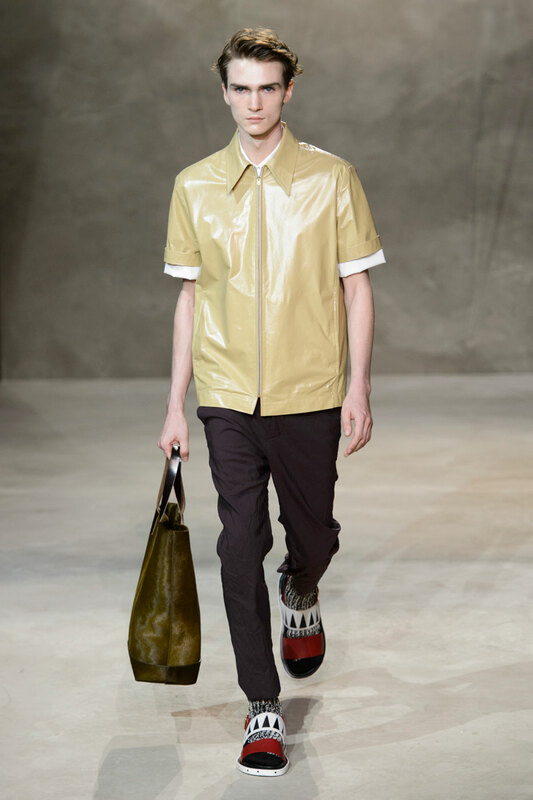 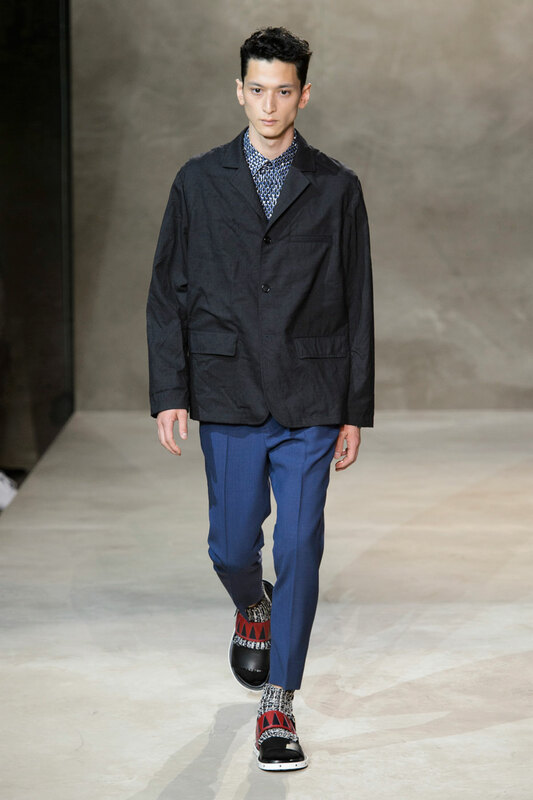 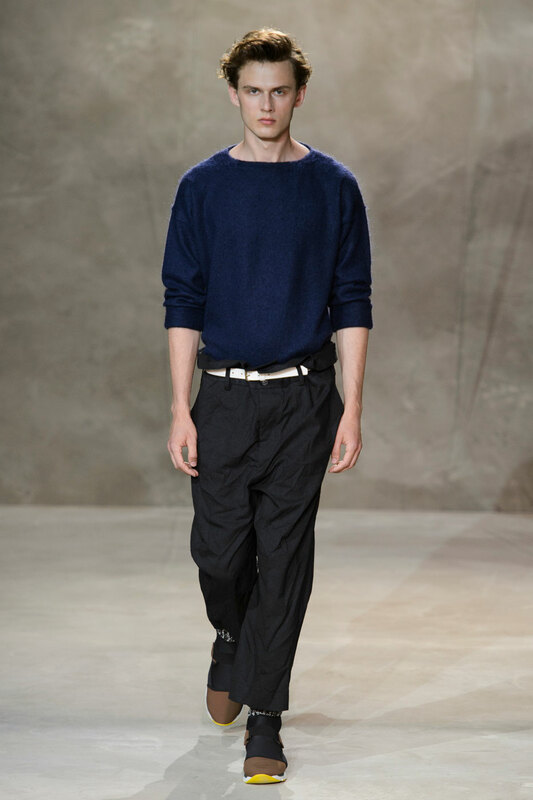 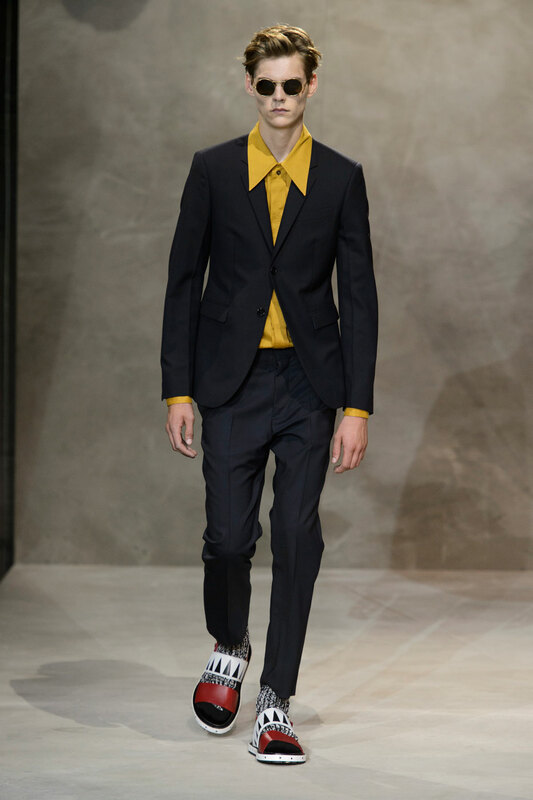 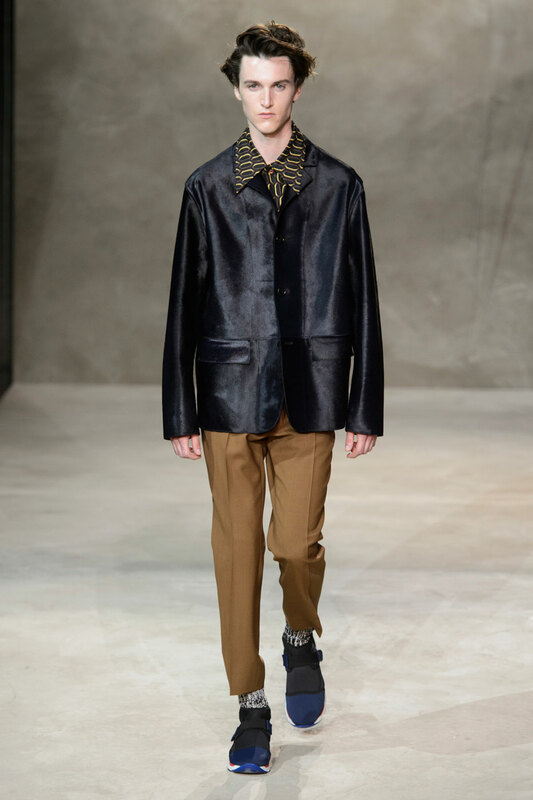 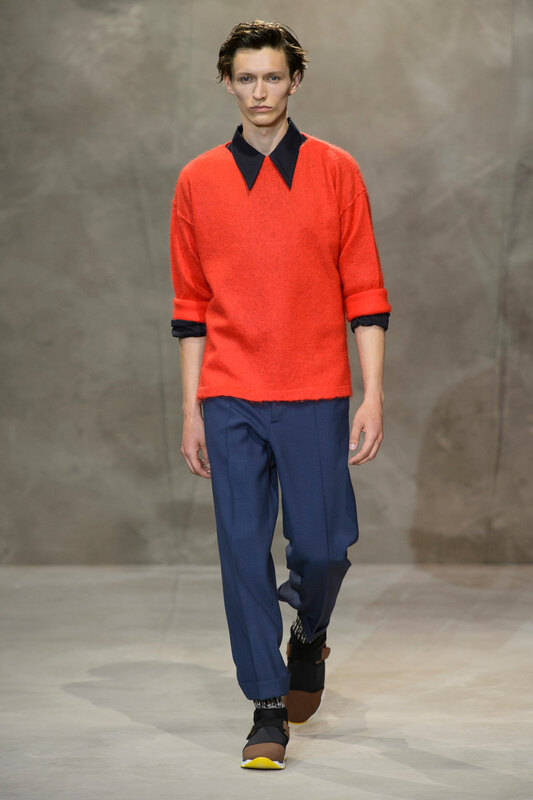 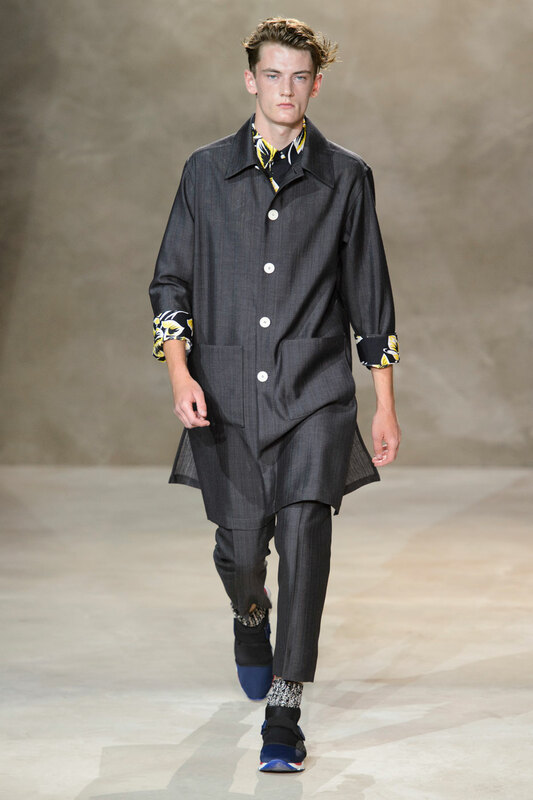 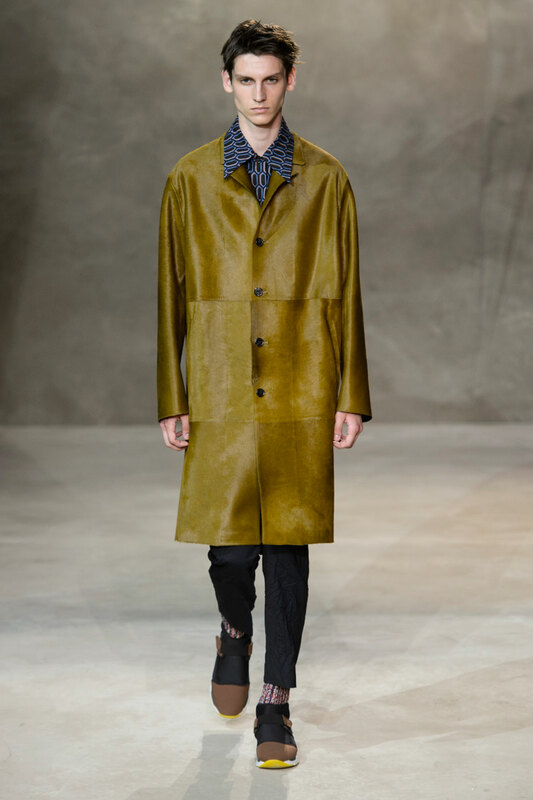 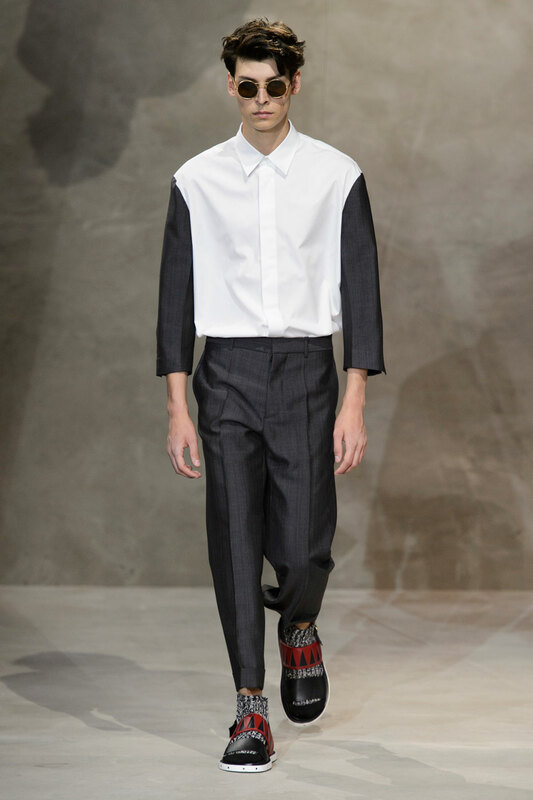 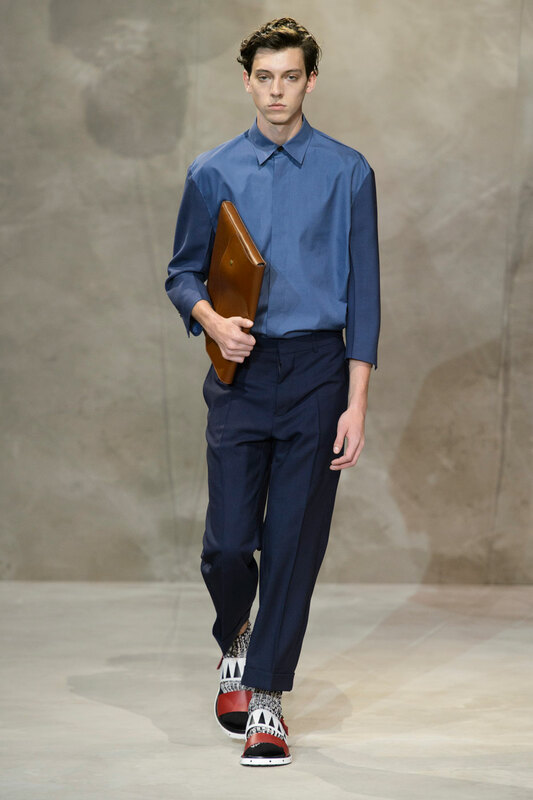 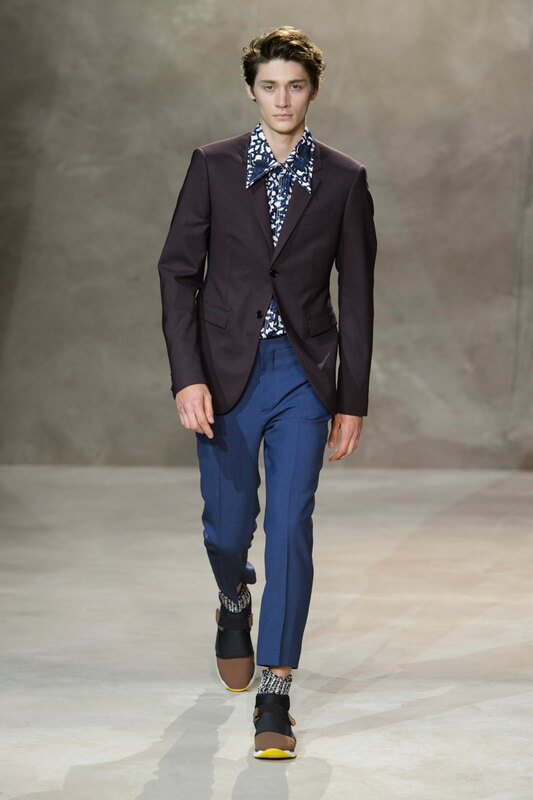 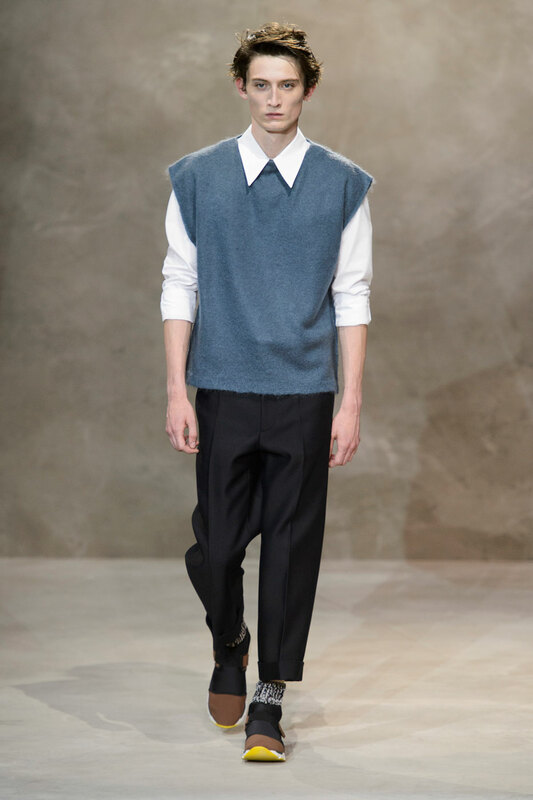 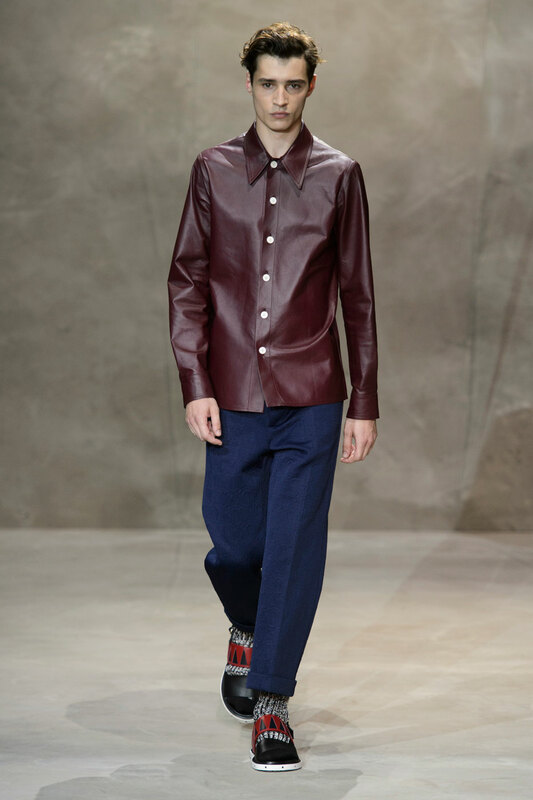 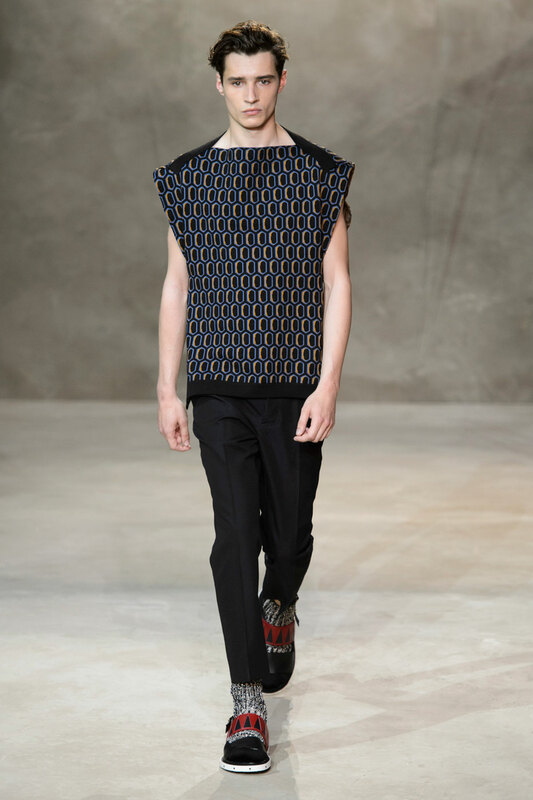 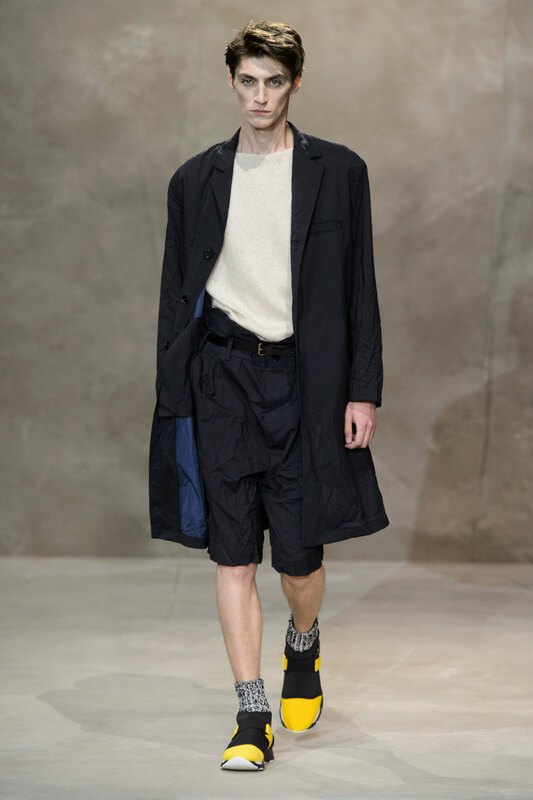 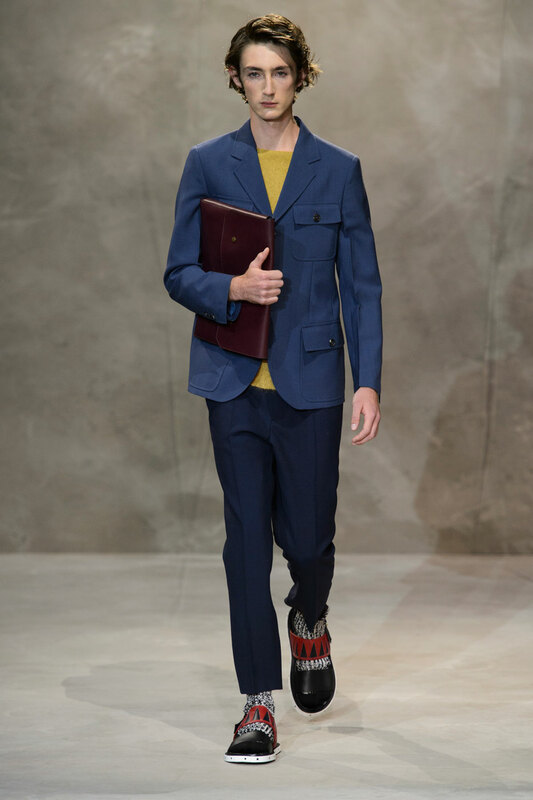 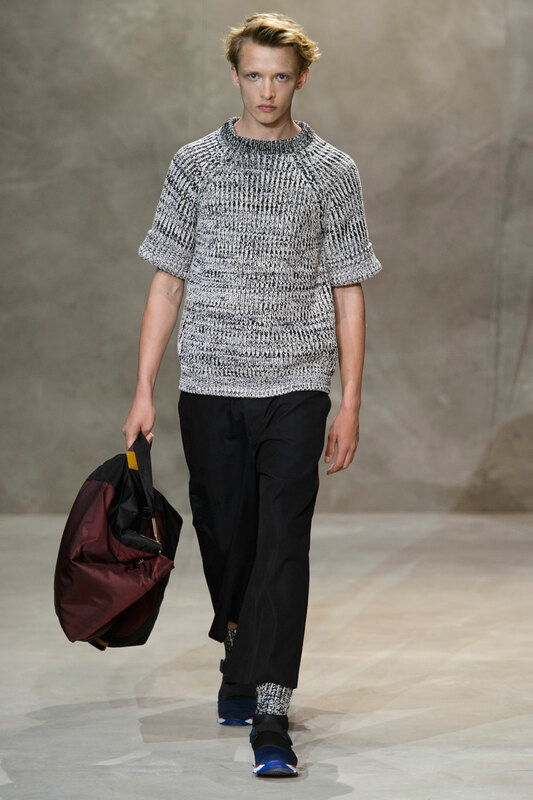 Marni’s latest collection stays true to their iconic ‘European-inflected preppy ‘ image with blues reigning dominant on the catwalk. 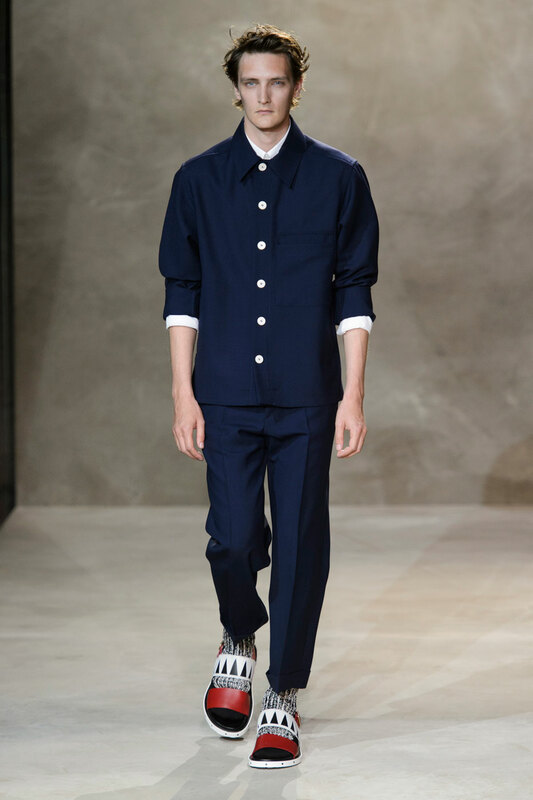 Cornflower blue oxford shirts are layered with crisp white working shirts and tapered navy chinos , whilst kitsch printed sandals with clashing printed socks give off an off-beat or avante-garde vibe about the collection . 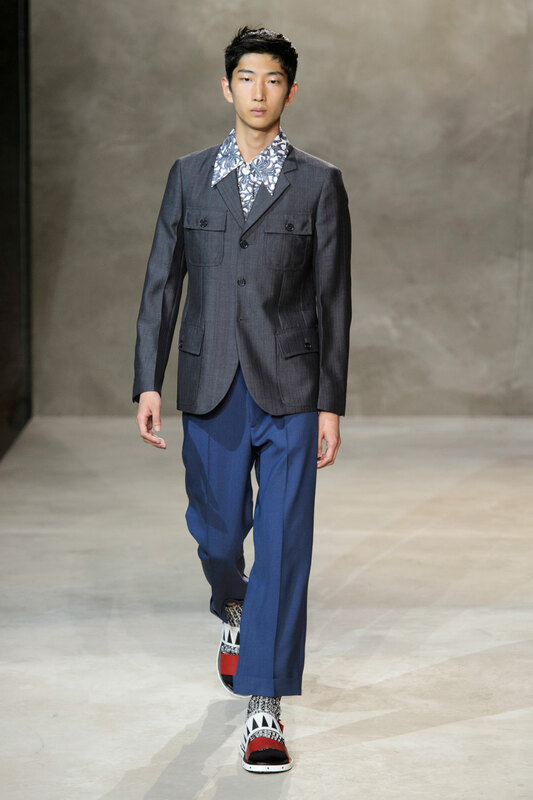 The printed sandals tie in with Marni’s secondary and more exciting persona ‘ the eccentric’ , showcasing that formal wear can still be idiosyncratic, youthful and personable. 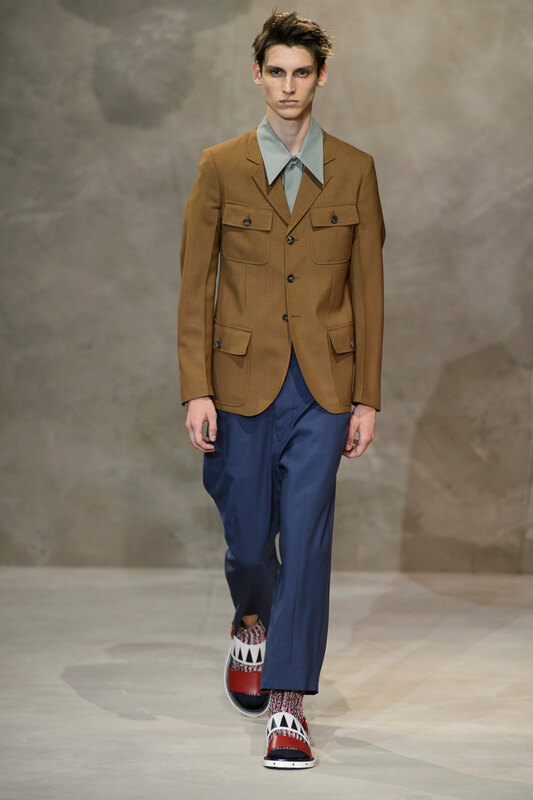 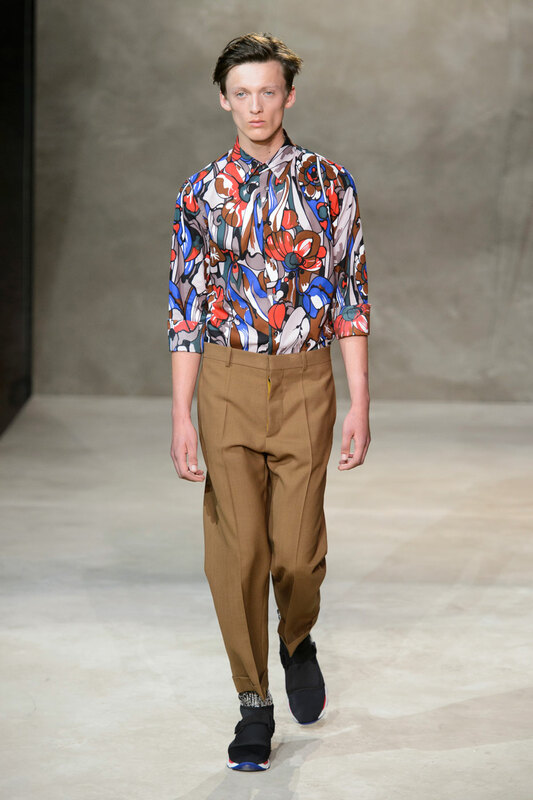 Alongside the more traditional tapered chinos and shirt lapels are 70’s inspired artsy shirts tucked into beige ‘dad’ trousers to tap into the hottest trend this year: the 70’s. 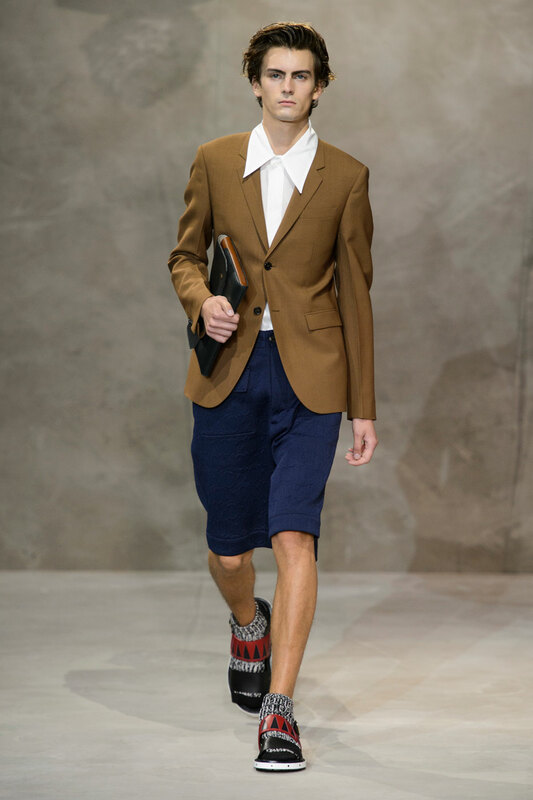 Each outfit parodies the bourgeois lifestyle with socks and sandals against formal attire , synonymous with the brands playful appreciation of kitsch bohemianism. 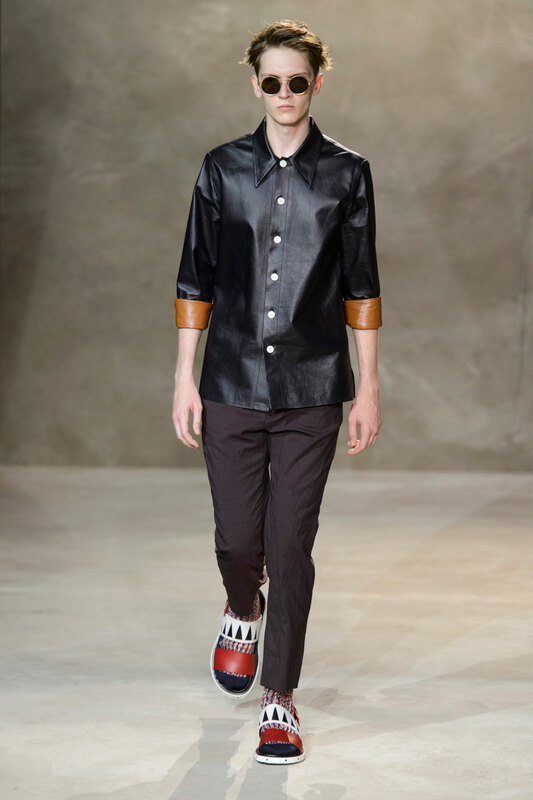 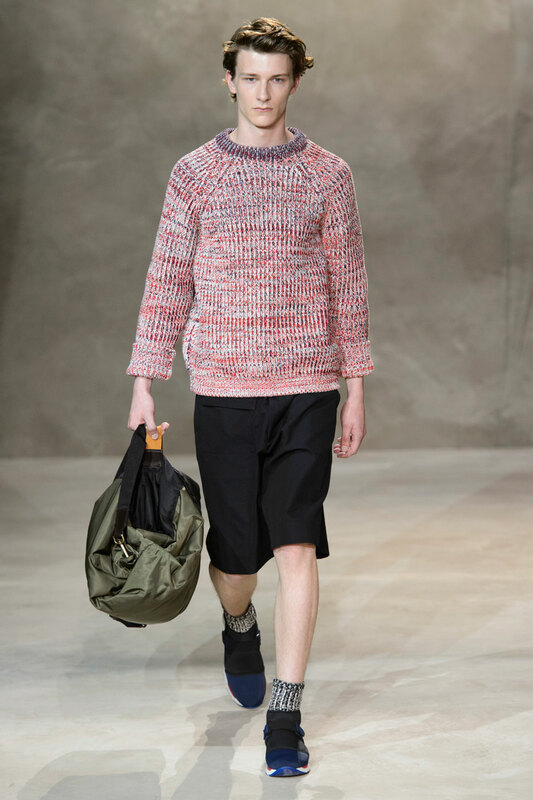 Overall the aesthetic of the collection is unique and for those who are unafraid to challenge the fashion norm.